Dr Mary Cavanagh is an Associate Professor at the School of Information Studies, Faculty of Arts at the University of Ottawa and is the member of the Center for Law, Technology and Society. Dr. Cavanagh studies information relationships and interactions in libraries, archives, museums and related information organizations. Her current projects relate to information needs of wireless consumers, a provincial public library advocacy case study, and community-library engagement through public libraries use of social media. Dr. Mary Cavanagh is an Associate Professor at the University of Ottawa’s School of Information Studies and is a member of the Center for Law, Technology, and Society. Dr. Cavanagh studies action-nets, practice theory and organizational learning, information organizations, information relationships and interactions. Her current work addresses two themes: the changing information roles and practices in contemporary public libraries, their online engagement, and social interaction; and the information practices of telecom consumers as they seek access to justice in Canada’s rights-based marketplace. In addition to the research on the information and access needs of Canadian consumers, she is also conducting a case study of the Saskatchewan public library network’s successful online advocacy campaign and political action. After 20 years of professional practice in public libraries in Saskatchewan and Ontario, she completed her doctoral work at the University of Toronto iSchool in 2009. Dr. Cavanagh has been on the Board of MediaSmarts since 2012. 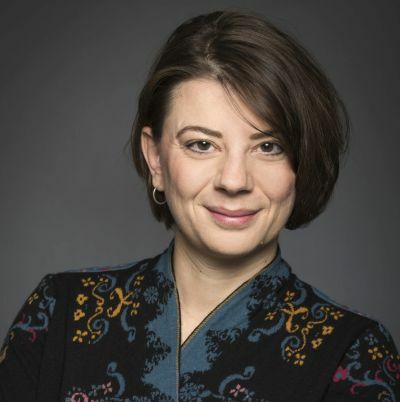 Marina Pavlovic is an Associate Professor at the University of Ottawa’s Faculty of Law, Common Law Section and is a member of the Center for Law, Technology, and Society. Her research expertise is in consumer rights in the contemporary cross-border digital society. In June 2018, she was appointed by the Ministers of Innovation, Science and Economic Development Canada and Canadian Heritage to the Broadcasting and Telecommunications Legislative Review Panel, a seven-member expert panel tasked with reviewing Canada's communication legislative framework. She holds a law degree from the Faculty of Law at the University of Belgrade (Serbia), an LL.M with concentration in Law & Technology from the University of Ottawa, and is called to the Ontario bar. Since October 2014, she has been a consumer-groups appointed director on the Board of the Commission for Complaints for Telecom-Television Services (CCTS). Marina is an Associate Professor at the University of Ottawa’s Faculty of Law, Common Law Section, and is a member of the Center for Law, Technology, and Society. Her research expertise is in consumer rights in the contemporary cross-border digital economy. Her article “Contracting Out of Access to Justice” was cited by the Supreme Court of Canada in Douez v Facebook. She was a co-counsel for the Canadian Internet Policy and Public Interest Clinic as an intervener before the Supreme Court of Canada in Douez v Facebook and Haaretz v Goldhar and has also appeared before the Canadian Radio-Television and Telecommunications Commission in the 2016˗2017 Review of the Wireless Code. She holds a law degree from the University of Belgrade (Serbia), and LLM in Law & Technology from University of Ottawa, and is called to the Ontario bar. 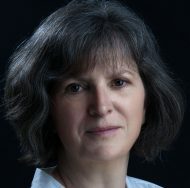 Her teaching includes the first-year course in dispute resolution and professional responsibility, a seminar on alternative dispute resolution processes, private international law, and legal knowledge engineering. Marina received 2015–2016 Common Law Section Excellence in Teaching Award and 2017–2018 Common Law Section Public Engagement Award: Public Education and Outreach. Since October 2014, she has been a consumer-groups appointed director on the Board of the Commission for Complaints for Telecom-Television Services (CCTS).